The results of a recent poll by Blind, an anonymous community app for employees, indicate a severe lack of trust between employees and HR in the tech industry. Trust is an essential component of any professional relationship. Ideally, employees and employers should have each others’ best interests at their hearts. But, it seems that trust in HR is low in the tech industry. Blind, an anonymous community app for the workplace, conducted a one-question poll to its users from July 30 to August 6. Over 11,000 users were asked, “Do you trust HR at your current company?” and provided with the following options: Yes, No, and My company doesn’t have HR. The responses to this question should make HR leaders and professionals sit up and take notice. More than 70% of the users said that they do not trust HR. Just about one in four of the respondents replied in affirmative to the question. About 4% of the respondents said that their company had no HR. Notably; even well-known names in the industry fared poorly. The survey results showed that employees of Intel were the least trusting of their employer as 83.1% of the respondents from the organization replied with a ‘No.’ Amazon came in the second place with 79.8% of the respondents not trusting their HR. 59.5% of the respondents from LinkedIn also stated a ‘No,’ making it the most trusted company in the list. This points to a challenge for employers and HR leaders. If employees fail to feel safe while approaching HR or seek remedy, they are likely to be more disengaged and disconnected from the company culture and values. Something is amiss as even though organizations are claiming to be more inclusive, open, and transparent; employees seem unwilling to trust them. Other surveys from Blind have shown that a significant portion of the workforce still doesn’t feel comfortable reporting cases of sexual misconduct and harassment to HR, and nearly 40% have witnessed or experienced retaliation in such a situation. While gender parity, in terms of pay or treatment, is skewed in the entire workforce; it is considered notoriously low in the tech industry. Multiple sexual harassment complaints over the past years in companies like Uber, Microsoft, and Google indicate that the challenge is deep-rooted in the industry. Despite the ripples created by the #MeToo movement, actionable and tangible on-ground change remains elusive. If businesses and companies want to navigate the volatility and turbulence that lies ahead successfully, they need to ensure that employees feel connected to the company. The first step to do so is to create a culture of trust and openness and hold everyone accountable to the values of the same. HR must begin by auditing the culture, processes, and policies in the organization to identify and correct unfair practices. A conscious effort to inculcate trust and faith in HR, and thereby, the employer, is a long and complex process. 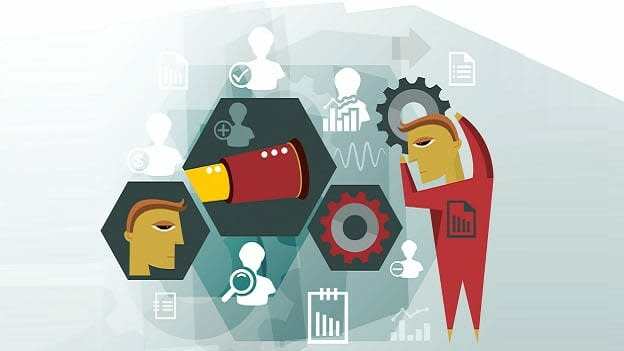 The report suggests that it might as well require a rewriting of the current employee-employer dynamic; and, as we step into a new work paradigm, it might not be entirely implausible.